Gina Carano was the former face of women’s MMA circa 2006-2009, back in the dark days when Dana White was still firmly against the concept and few promotions were willing to feature female fighters. Unlike a certain someone (cough Rousey cough), Carano wrapped her combat sports career with a big fight against Cris Cyborg. She lost, but was more than game in defeat, and since then she’s been slowly building up a Hollywood career that’s only become brighter as the years go on. A leading role in Steven Soderbergh’s Haywire was followed by a villain turn in Fast & Furious 6. A few smaller direct to streaming releases later and she was suddenly a part of FOX’s Marvel universe as Angel Dust in the first Deadpool movie. Now she’s set to appear in her biggest role to date in the Disney+ Star Wars series The Mandalorian. 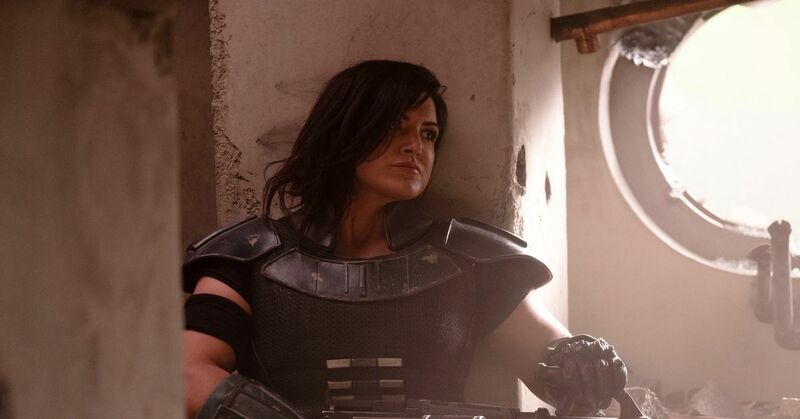 Not much has been revealed about The Mandalorian past its cast, but today during the annual Star Wars Celebration event we finally got our first look at official photos from the show, including Carano as Cara Dune. Carano spent the day retweeting shots from the event, as well as geeking out with a fan over concept art for her character. Details are still scarce, but The Mandalorian is set a few years after the events of Return of the Jedi and Carano gave a little background to Dune during the reveal panel. The Mandalorian kicks off November 12th, 2019 on Disney’s new streaming Disney+ service. Knitting Is The New Yoga. Did You Know That?